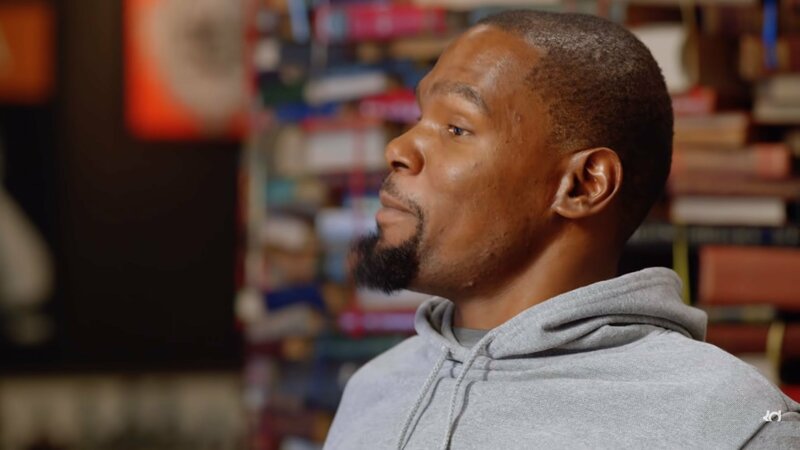 He might be an NBA Finals MVP and NBA champion thanks to joining the Golden State Warriors, but Kevin Durant is also known for something else when it comes to social media: burner accounts. It’s one of the things he’s scrutinized for the most, as much as being sensitive towards the media and speculation. As part of his ESPN+ show The Boardroom, he spoke on this expect subject. Jay Williams asked him about the burners and what KD had to say was interesting. He said he needed a place where he could talk to friends without Bleacher Report or Barstool Sports taking his comments and analyzing everything he said and blowing it up in the media. He just needed to be himself, apparently. "I try to live a normal life out in the public …"
He needs more people, right? It was a cool answer for the show (even if it has some grain of truth to it), but nobody actually believes the words coming out of your mouth, Kevin.